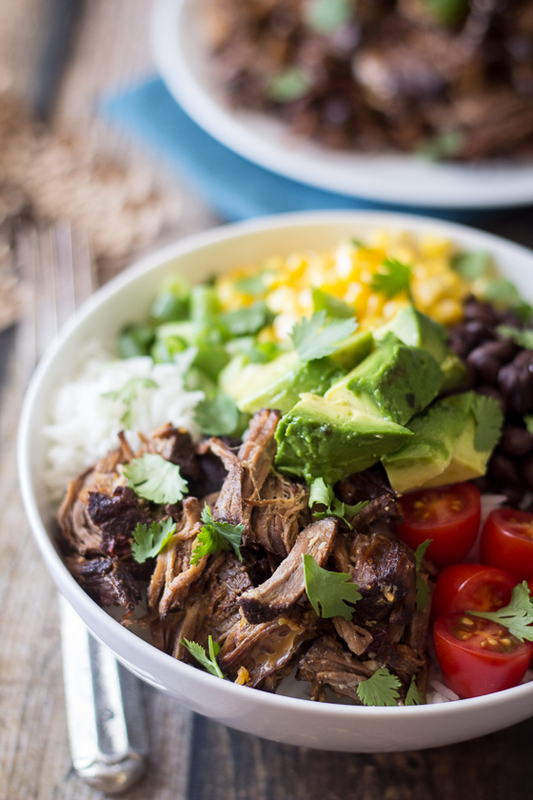 These easy Barbacoa Beef Bowls are a perfect way to use up leftovers and skip the line at Chipotle! In a large bowl, toss together the warm rice and fresh lime juice. Divide evenly among four serving bowls. Into each bowl, place ½ cup beef, ½ cup tomatoes, ¼ of the beans, ¼ cup corn, ? cup green onion, and ¼ of the avocado.